My clients like my personalized service, customized designs, and the product that I bring together especially for them. They appreciate that their home will look special and not have a design or products that everyone has purchased from the same store in the area. I think you will find that I am both fun and easy to work with. I like to learn about how you live in your home and so I can help you make it a space that is comfortable and something you will be proud to show to friends and family. I will also discuss your budget so that I can bring together products and a design scheme that works best for you. Interior Decorating is my passion. I love working with my clients to help them make their home and lives more beautiful. We design rooms around your Lifestyle. I will show you samples of custom window treatments, bedding ensembles, floor covering, wall covering, accessories, lighting, upholstered furniture and case-goods so you don't have to run around town! No project is too big or too small. And don't worry, we don't have to do it all at once. I will work with you on a plan to bring it all together on your budget and on your time table. For over 35 years, we have offered the finest service and products of custom window treatments, drapes, wallpaper, motorized blinds, cornices, bedding, upholstery, blinds, roller shades and shutters. When it comes to window fashion, Curtain Time provides hundreds of styles for you to browse in our showroom. Our pampering design staff is ready to put together a personalized creation just for you – ready made or full custom. Because we are locally owned and operated, we know the area and understand local preferences. All of our product and services are selected with the needs and tastes of the local community in mind. We are here to help you today, and we will be here in the future, when you may need us again. Our experienced design professionals will help you select window treatments that meet your needs for privacy, light control, energy efficiency, and child safety. We will also help you choose colors, textures and finishes that complement your interior décor beautifully. Since 1989, Innuwindow has been serving the Greater Boston community, offering a wide selection of drapes, blinds, shades and curtains, as well as custom options for discerning homeowners. 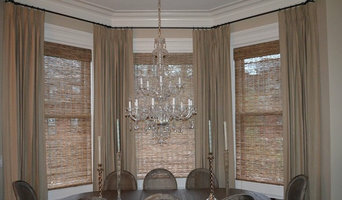 Window Treatments -- custom made -- to meet a homeowner's specific needs, style and desires. Whether the interests are solar blocking shades, decorative drapes or top treatments, Roman Blinds, Cornices or cellular shade products, or other soft furnishings, Jo-Anne offers custom solutions, fabrics, trim and hardware to put together the perfect solutions for her clients. She sews many of her projects and offers expert installation services , as well! The home decor professionals at J&I Custom Drapes and Upholstery are here to guide you through the process of decorating your home or business. We offer top quality, professional work with great attention to detail, with years of experience in the design and creation of custom drapery, window shades, bedding, upholstery, cushions, and decor pillows. Our services include an Interior Designer who will help you make the right decisions as you create and customize your dream home, office, or space. We’ll work closely with you — from design through installation — and provide pickup and delivery for your upholstery. J&I — where customer satisfaction is guaranteed! Installation: Our staff is fully equipped to handle various projects of all sorts, and our network allows us to outsource a portion of your work within our group. Custom Upholstery: J&I Custom Drapes & Upholstery allows you to create your own custom-designed room by combining the perfect match of quality, style, color, and fabric. Interior Upholstery: We take a careful and skilled approach to upholstering your walls with no damage to trim and we ensure that you have a beautiful, custom effect. Boat Customization: We have the ability to offer custom design to all of your toys and personal items. 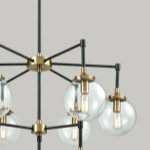 J&I extensively researches our partners along the lines of quality, craftsmanship, and industry reputation. Motorcycle Makeover: We have the ability to offer custom design to all of your toys and personal items. 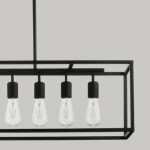 J&I extensively researches our partners along the lines of quality, craftsmanship, and industry reputation. Custom Interior: Not only does J&I Custom Drapes & Upholstery do furniture and custom interior design, we also do custom interiors for cars, boats, marine and personal items. Pickup/Delivery: With timely and efficient pick up and delivery, we ensure that your valued items are safely transported to and from if you have an issue in transporting your item to us. Custom Bedding: Let us cut and pin fit a custom slipcover right before your eyes. It's fascinating to watch. Similar to a fine tailor making a custom suit. The pinned cover is brought back. I’m Rich and I'm the founder of Modern Shade and Décor. I have been in the shade business since I was a teenager at my dads shade business in Boston. After graduating Babson College, I spent a few years servicing our growing customer base of repeat and referral business. 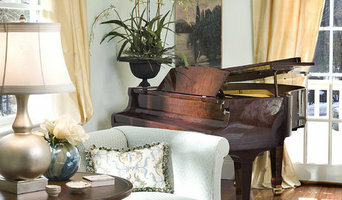 I created Modern Shade and Décor to take this level of service beyond the Boston Area. Since then I’ve met many new clients and helped make their homes look great while also saving them money. The mission is simple, to create lasting relationships through quality products, competitive prices, and great customer service; in which initial customers become lifelong repeat customers, and so do their friends, families, and neighbors. Why do over 84% of customers that we consult with choose us? • Onsite Consultations/Measuring that take only 30-60mins! 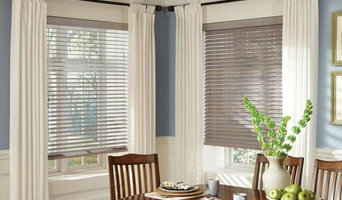 • Quality Blinds and Shades that Look Great and Last. From Hunter Douglas to others. • Friendly experts w/ years of experience in window treatment design/utility. • Local Business w/ Fast and Responsive Service • Great Prices Schedule Your FREE Consultation Now! Simply Windows provides the highest quality products and superior customer service to bring our clients a new, exciting visual dynamic to their home through window coverings, blinds, shades, custom bedding, reupholstery, accessories, and more. We have low overhead to bring outstanding prices and work on any budget. Check us out and you'll be simply amazed! Thank you. *Hunter Douglas Authorized Centurion Dealer* At Shades on Wheels, we listen closely to your window covering challenges and needs so we can guide you through the process of selecting the perfect window treatments to reflect your needs, decorating style and budget. We specialize in all Hunter Douglas products and all forms of fabric treatments (drapery panels, cornice, valance, roman shades). We offer a unique in-home shopping experience to residential and commercial clients. Our service area includes Attleboro, Boston, Bellingham, Canton, Dedham, Foxboro, Franklin, Hopedale, Mansfield, Medfield, Medway, Milford, Millis, Norfolk, North Attleboro, Norton, Norwood, Plainville, Sharon, Upton, Walpole, Westwood and Wrentham. Our in-home design consultation, measure and installation are included with every project FREE of charge. Whether it’s one window or the entire home or office, we will use our design experience to help you narrow down the choices in color, fabric, texture and control systems resulting in a window covering recommendation that will compliment and enhance the look of your new space or existing decor. Our philosophy is to present you with the most innovative window treatment solution that will enrich your living environment at a price that works with your budget. Customer service inspires everything we do. 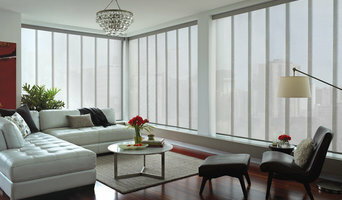 Shades on Wheels has seasonal promotions on custom window fashions to help you save without compromising style. Call or email today to make an appointment for your in-home design consultation. Magda Fagundes Designs is an interior decorating serving the Framingham, MA area. Services include Custom Window Treatments, Shades & Blinds, Drapery, Interior Decorating, Commercial Interior Decorating and Custom Bedding. 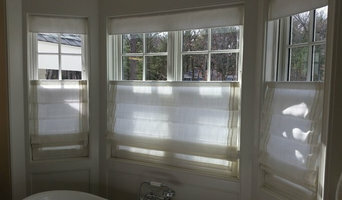 Window Treasures is a custom drapery workroom serving New Hampshire and Massachusetts. I work with both retail customers and designer clients, using my specialized industry skills to make ideas become reality. Services include custom designed and fabricated soft window treatments, cornices, cushions, pillows, bedding, light upholstery and cellular shades. Pioneer Glass and Window Fashions, a local family business, offers customers a whole host of services. We bring you the look you want with the help you need. We are a full service glass company and a full service window treatment provider. From Hunter Douglas, to gorgeous frameless shower enclosures, to stunning mirrors, we can help you get the perfect look. At Pioneer Window Fashions, you'll find a wide variety of Hunter Douglas choices to meet all your needs. Our fine window fashions will transform your living space into your dream home. We make and install curtains and draperies. You'll find more than great window coverings with us. 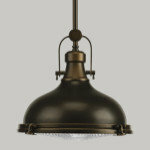 We offer fabrics, wallpaper, antiqued mirror glass, faux iron, and more. Pioneer Glass is a full-service glass company providing commercial and residential glass services to contractors, builders, and homeowners. We pride ourselves on the highest professional standards and workmanship in the area. We are available for all your glass needs, including every type of shower glass possible, mirrored walls, and foggy double pane glass replacement. 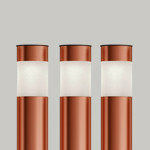 We also can provide many specialty types of glass including mouth-blown wavy glass. We run our own installation team so our customers are sure to get high quality service. For the look you want with the help you need, please reach out to us and let us know how we can help. Sunburst Shutters Boston offers optimal window treatments & coverings for the best value and is the #1 provider/ installer for plantation shutters & sliding barn doors in the Massachusettes-New England area. Proudly serving the window treatment industry for over 40 years with innovation & craftsmanship, Sunburst Shutters are made in the USA & engineered from the finest quality of materials to provide optimal durability & awe-inspiring aesthetic inside your home. Our plantation shutters are superior in functionality, offering ultimate control of light, temperature, sound, privacy and enhanced energy efficiency. Whether your home is in need of a complete renovation or a quick & simple style refresh, Sunburst Shutters specializes in custom plantation shutters that complement any interior design-decor, but also offers a variety of traditional & trending window covering selections, such as, barn doors, draperies, blinds, or shades to help you achieve your home improvement goals. Give Your Windows The Treatment They Deserve and add value to your home by investing in Sunburst Shutters today! Visit our showroom or call our office at 781-352-2205 to schedule your free in-home consultation.